Atlanta has become a great location for everything from growing a corporate team to enjoying the diversity the city has to offer. Whether you’re impressed by the world’s busiest airport or that we house 14 technology incubators or even the city’s number of parks (343! ), you’ll find this vibrant community is a fantastic place to live, work and play. 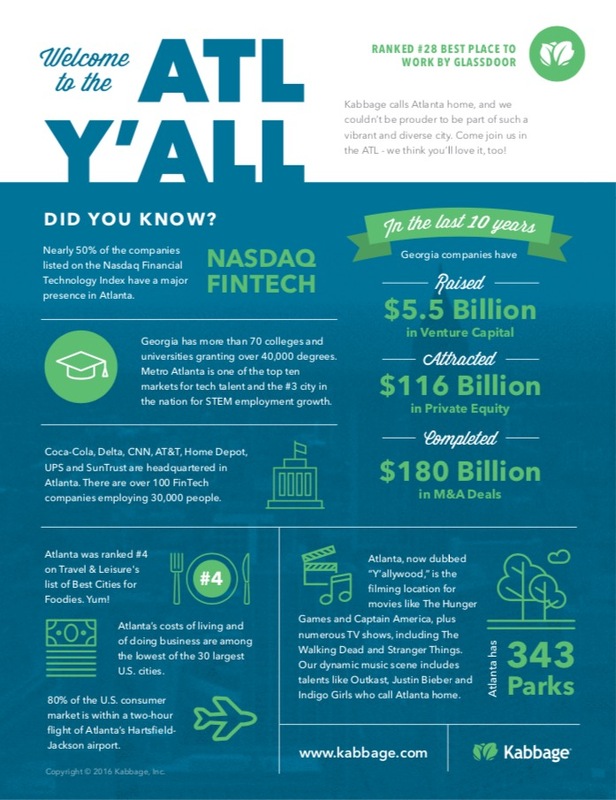 Take a look at our infographic to learn more about the benefits of living and work in the ATL. Note: If you use any infographic on this site, please do everyone a solid by linking to their website. Also share the infographics on social media. Thanks in advance!